Ceiling fans can be used all year round. Some people think it’s a seasonal product but it’s actually not. In the summer you can use it to keep cool and in the winter use it to move warm air around the room. Heat rises so it is a good idea to have a ceiling fan to move that hot air around the room when you have your heater on. 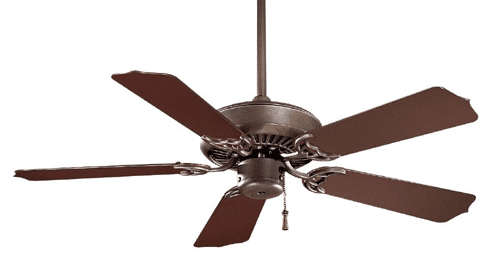 Standard ceiling fans are normally 44” and 52” in blade span. Some people may have a small room that requires a smaller ceiling fan. There aren't many good looking small fans. However, we detail the best below. You should really consider CFM or cubic foot per minute. This is a measurement of how many cubes of air the fan actually moves. One fan in particular will surprise you. If you’re looking for a small fan to get some good air movement and keep your room cool, I would recommend the Minka Aire Supra 32”. This small ceiling fan has an airflow CFM of 5,995. That is more CFM than most 52” ceiling fans. It’s also available in some of the most popular finishes such as Brushed Nickel, Oil Rubbed Bronze, and White. 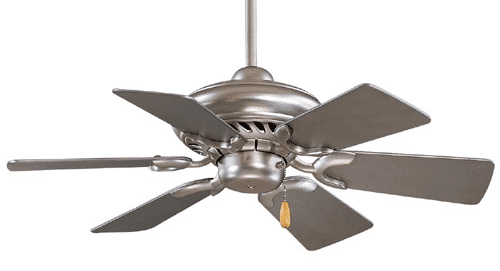 For $150 you can get this good quality ceiling fan with a lifetime motor warranty. You can also add a light kit as well. Couple of additional notes. 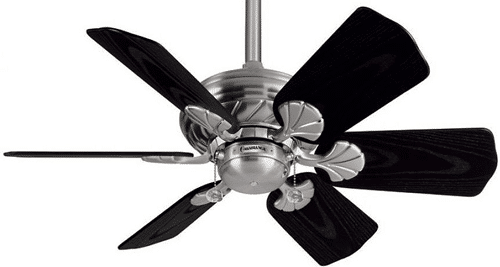 You need at least a 7 foot ceiling by most state codes to acommodate a fan. Also, turn off the fan when you are not in the room. Paddle fans work by wind chill or perceived temperature on your skin. They do not actually lower the temperature. 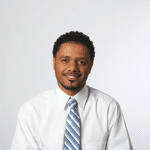 Roger Pontes has been with Yale Appliance + Lighting for over 9 years. He truly enjoys helping people and spending time playing basketball and riding motorcycles. Read more about Roger here.